Xanthoria foliose lichen tree covered! Observation - Xanthoria foliose lichen tree covered! - UK and Ireland. Description: Tree covered in yellowy/orange Xanthoria foliose lichen. 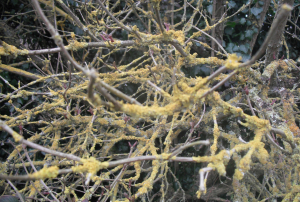 Tree covered in yellowy/orange Xanthoria foliose lichen.